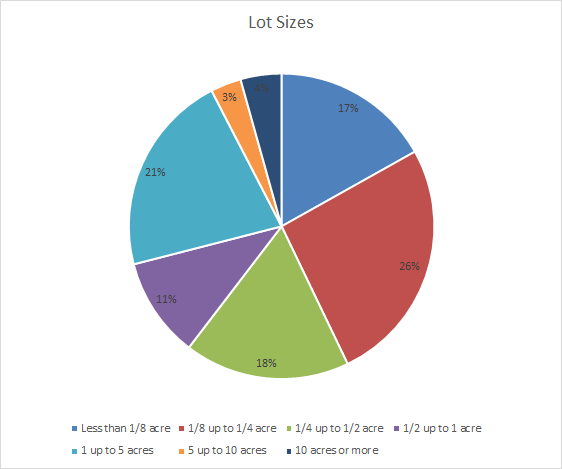 The median size of a home lot in the US is 0.25 acres. This does not include mult-unit housing like apartment complexes, etc. 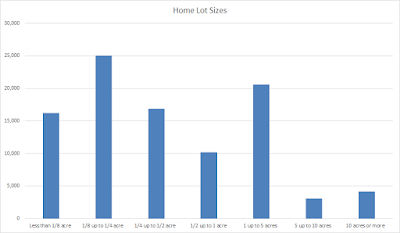 The data on home lot size is from the American Housing Survey 2013 national tables. I live in an area with relatively small lot sizes where most lots are 1/8 acre or less. 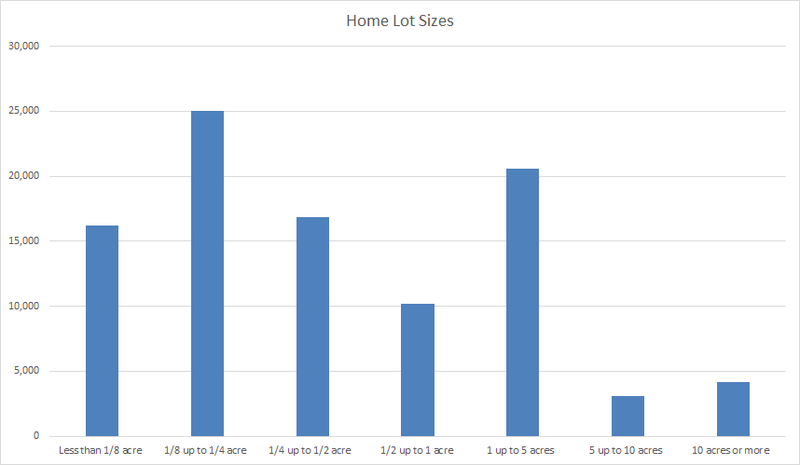 So I'm a little surprised that most home lots are larger. But I'm not especially surprised. Where I grew up our neighborhood was full of lots in the 5-10 acre size range and I think a lot of people had 1/4 acre size lots in the city boundary.